Baños de Agua Santa, or simply Baños is an Ecuadorian city of the Province of Tungurahua. It is a tourist center of importance of the country, is located about 45 minutes from Ambato. It is the cantonal head of the canton Baños and has a population of 12,995 people. The most important economic activity of the canton is the receptive tourism. 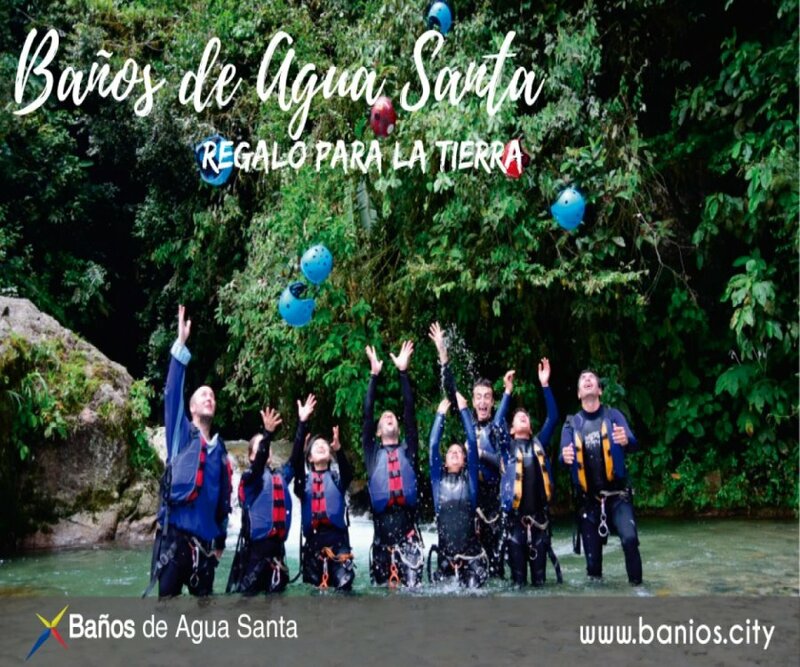 The WWF gave the nominative to Baños of "A Gift for Earth"
Baños, is located in the foothills of the Tungurahua volcano at an altitude of 1820 meters (msnm), very close to the geometric center of the Ecuadorian territory. It enjoys a very pleasant climate, almost all year round; Despite high humidity. The national parks Sangay and Llanganates. Are located on the flanks of the canton.